Garden areas with low light can make it difficult to create an eye-appealing landscape design, as most plants require sunlight for growth and flowering. The state of Wisconsin ranges in USDA growing zones 3 through 5 and is known for having many trees and shaded landscape areas. Several plant species are perfect for shaded gardens in Wisconsin and will maintain attractive foliage once the flowering period is complete. The bleeding heart (Dicentra spectabilis) is a shade-loving perennial plant that produces heart-shaped pink flowers in May and June. The plant prefers to grow in a nutrient-rich, well-draining soil where the light is partially or fully shaded. Bleeding heart can be planted in all areas of Wisconsin, as it is hardy in USDA growing zones 3 through 8. Divide the bleeding heart plant every three years to promote additional growth. Monitor the plant for the presence of leaf spot as wet and cool conditions promote the disease. The columbine (Aquilegia) is a spring and early summer blooming perennial plant that prefers partially shaded light conditions and will grow in most soil types as long as it is well draining. The plant grows to a height of 2 to 3 feet and produces appealing crown shaped flowers in the colors of white, red, blue and yellow. Columbine can be planted in all areas of Wisconsin as it is hardy in USDA growing zones 3 through 9. Deadhead columbine plants during flowering to remove spent blooms, as this will extend the flowering season. Additional plants may appear through the spread of seeds from the plant. The coralbell plant (Heuchera) is a popular perennial grown in shade gardens. The plant grows to a height of 18 inches and produces long flower spikes with tiny, bell-shaped flowers. Coralbells can be planted in most areas of Wisconsin except the far north, as it is hardy in USDA growing zones 4 through 9. Plant coralbells in an area that has a nutrient-rich, well-draining soil and partial-shade light conditions. Coralbells can be placed in the front of a flowerbed as the plant provides a delicate landscape feature in summer. The hosta plant is a perennial that is native to areas in Asia and popular due to varieties that range in size, color and leaf shape. The plant grows well in deeply shaded flower gardens and produces thick bush-like foliage in the colors of blue, green or white with flower spikes in the color of white, cream and purple. 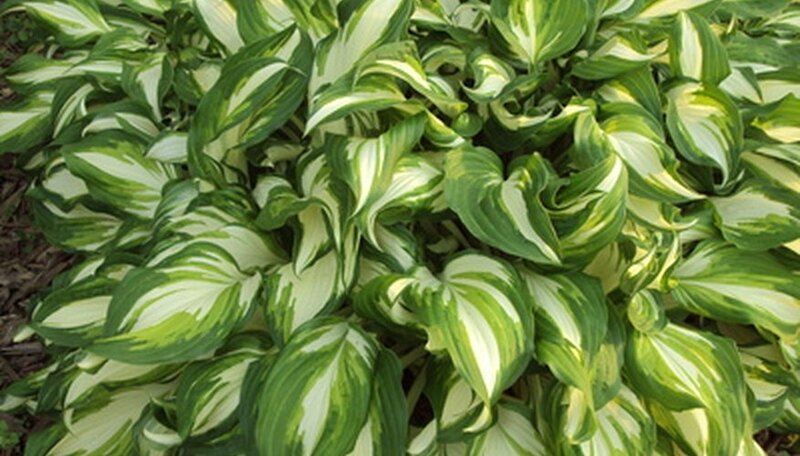 Hosta plants can be grown in all areas of Wisconsin as they are hardy in USDA growing zones 3 through 9. The plant reaches maturity in 4 to 8 years and can be easily divided to propagate additional plants.